Tulips on the Magnificent Mile For visitors who have concerns about how the Chicago NATO Summit will impact their travel plans, we’ve compiled a few resources to assist you. Chicago is a city of many firsts, but perhaps no other first is as important as the birth of the skyscraper – a modest 9 story brick structure – on March 1, 1884. Discover this and other important March milestones in Chicago’s history. Get a Head Start on St. Patrick’s Day Celebrations! They say on St. Patrick’s Day, everyone’s a little Irish. Chicago celebrates this holiday with gusto, so don your green and head out into the streets (and river) for some fun. Say happy birthday to Chicago with a special Chicago Pedway Tour! Exploring the downtown Pedway system, a series of underground heated walkways, passages and tunnels, that serve as the backdrop for an amusing and enlightening tour of some of the hot-spots (and warm-up spots) of downtown Chicago. Happy 175th Birthday, Chicago! 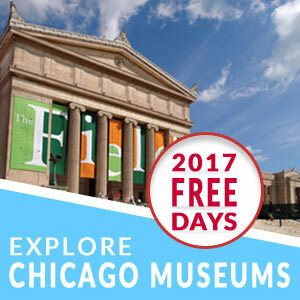 Celebrate the City of Chicago’s milestone birthday with a special event hosted at the Chicago History Museum (1601 N. Clark St.) from 12 Noon – 5 pm. Birthday celebrants will receive an honorary certificate signed by the Mayor and share birthday cake courtesy of Bleeding Heart Bakery.